The fixed wireless installation consists of a wireless service module mounted on the outside of the premise and a shielded cat. 6 cable running from the service module to the inside of the premise. 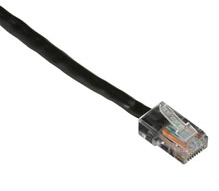 The RJ 45 cable coming from the outside and into the room, Fig. 1 below, goes into the Power Over Ethernet Injector. 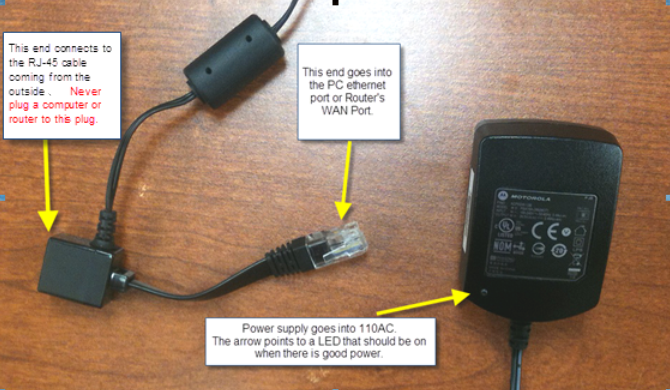 Power Over Ethernet Injector Fig. 2 below. The end with RJ 45 connector goes into PC or Router. Make sure this is plugged in and the green light is on the power supply. Connecting multiple devices to your Wireless Point to Point broadband.